The origin of Sherwani was appeared in Central Asia during the period when in the Delhi Sultanate and Mughal Empire it was the dress code for the Persian and Turkish nobles. By the end of 18th century, it became very popular within the men’s community. 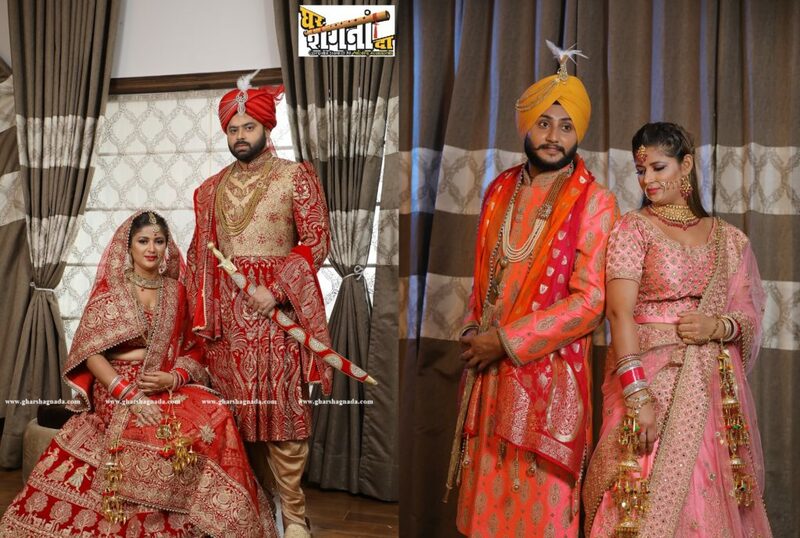 Wedding Sherwanis on rent in Chandigarh. Though, sherwani is the national dress in Pakistan, Indian men wear it only on some special occasions. No wonder, with time the designs and styles have upgraded to match the taste and culture of the country. Best Sherwani on rent in Chandigarh. Sherwani is the unique outfit of men’s clothing especially wore at weddings and also stated as the symbol of culture. Sherwani comes in fabric of silk with hand-made embroidery and to contrast the Lehenga of the bride. It is usually worn for formal occasions especially by the muslims of Rajasthan, Hyderabad and Uttar Pradesh. The Colors of Sherwani. Red, golden and maroon comprise of the most popular color options, as far as sherwanis for the Indian groom are concerned. Many of the grooms also prefer going in for colors like off-white, brown, cream and gray for their sherwani. Sherwanis on rent in Chandigarh. Then, there is the universal black as well, which goes perfectly with any type of wedding. The exact Sherwani color will depend upon the), the complexion of the groom, the time of the wedding (day or night) and the personal preferences of the groom. Sherwani on rent in Chandigarh for Groom. Ghar Shagna Da brings to you the top-of-the-range wedding designer sherwanis for men that blend style and present-day fashion to make the Indian groom look elegant and stylish. Traditionally associated aristocracy, the Sherwani for men was considered as an outfit of the royals of the Mughal Empire. A Sherwani is typically a long coat that is buttoned up from the front and has a Nehru collar. Sherwani on rent in Chandigarh for Groom. The Sherwani is generally worn for celebratory occasions like weddings and festivals. Weddings in India have adorned Ghar Shagna Da and go a long way back. It is often forgotten that a wedding day for a man is just as important as it is to a woman. It is usually seen that the bride steals almost all the limelight, the minute she walks in. Being the groom, one wouldn’t want to appear silly in front of his gorgeous bride-to-be or commit any mistake; either in his styling or his wedding wear. We, at Ghar Shagna Da have made a wedding collection of Sherwanis for men (grooms) based on this very insight. It is usually worn with a pair of Churidaar. Right from the traditional designer sherwanis to the aesthetically appealing indo-western sherwani ones, we have combined it all for you. We provide exclusive Party Wear & Bridal Lehnga-Cholis, Groom’s Sherwani & Party wear Kurta-Pajama & Achkans. We are also into manufacturing of Indo Western dresses and ladies Gowns. Also for the Accesories we include exclusive ART Jewellery..